Features: Perfect for the Upcoming Chinese New Year Celebrations! 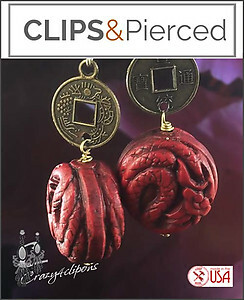 This is a lovely pair of earrings featuring a carved Chinese dragon ( a symbol of transformation, regeneration, growth and wisdom) on a faux-cinnabar round bead, it is complimented with a Chinese coin at the top. 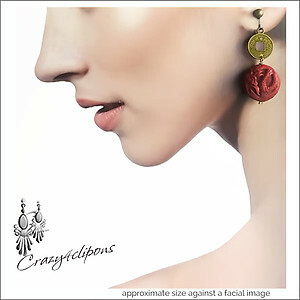 Although bold and dramatic, they are incredibly light.